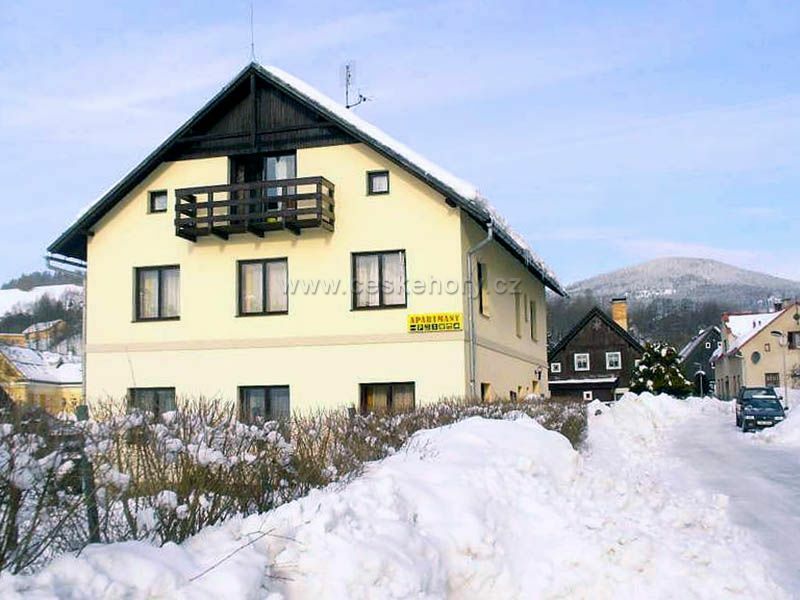 Apartments are situated 200m from the centre of mountain town Vrchlabí. You can park you cars at locked parking place. Studio 2M - room with 2 beds and kitchen unit, shower+WC. Studio 2V - room with 2 beds, kitchen unit, shower+WC, summer terrace. Apartment 4B - Room with 2 beds, kitchen unit, bedroom with 2 beds, shower+WC, balcony. Apartment 6 - 2 bedrooms (2+4 beds), kitchen (refrigerator, microwave oven) with lunch room, shower+WC, summer terrace. WiFi Internet. Operator: MT Benefit Trade s.r.o.